Ashampoo Photo Commander is a full-featured photo management and optimization suite that allows you to effortlessly browse through large photo collections and edit image defects on the fly. It comes packed with all essential tools and effects giving you full creative control over your photo collection. With just a few clicks, beginners, amateurs and professionals alike will achieve stunning results. Ashampoo Photo Commander permits you to optimize photos with one click, wipe out red eyes or use different effects, like color changes for the image editing process. You can also convert your most beautiful images into oil paintings if you choose or create a calendar with your own pictures - the sky's the limit. Shows codec infos for MP4 and MKV files and latest h.265 codec. Native playback of MKV and h.265 encoded files on Windows 10. TIF: new default option saves TIF lossless. "When? "-View: Days not initially opened anymore. 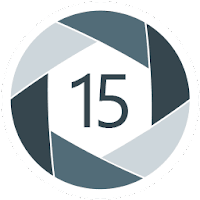 Disclaimer: Direct downloads for the lastest version of Ashampoo Photo Commander 15.1.0 are provided by the official software's author, we can't guarantee safety, availability or download speed. Moreover, we don't and we won't provide any pirated/illegal versions or tools. We recommend you to avoid it as these methods can harm your device. If you like the software, buy it to support the developers. (We provide software discounts for many worldwide brands).